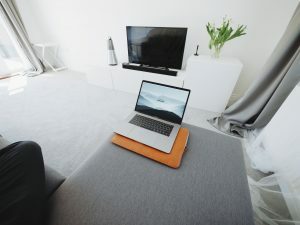 Organisations that do not allow employees to work from home are missing out on a strategic business advantage, a recent two-year Stanford University study has found. More and more people are working remotely, and many say it improves their productivity and satisfaction — while also saving them time and money. Current studies suggest that this move towards on-the-go business could not only increase local GDP by 0,4% but also reduce commuting time by up to 320 million hours ─ with enormous savings in cost and time for both organisations and individuals. But, in fact, research suggests the opposite: working from home increases output, efficiency, and engagement. Employees who work from home are 13% more productive compared with their in-office counterparts – almost a full day per week! Employee attrition decreased by 50% among the telecommuters. Telecommuters took shorter breaks, had fewer sick days, and took less time off. Telecommuters consistently work longer hours and are more productive because they have fewer interruptions. In fact, some employees even save their toughest work for their work-from-home days, because that is their most focused time of the week. Telecommuting saves the business money, as overhead costs are lowered. HR can recruit wider without having to offer relocation fees. No office means the ability to work with anyone in the world. With the rise of globalisation, urbanisation, digitalisation, broadband technology, smart devices and international connectivity, companies are able to synergise team members’ output without the need of an office building. However, for remote working to be successful, proper management is critical, going hand-in-hand with the implementation of necessary, efficient systems to ensure both optimal productivity and sufficient downtime. Additionally, it requires a move away from a traditional “clock in” mentality, pushing businesses towards a results-based approach when assessing employees – something that can be challenging for those not yet accustomed to it. If a 100% work-from-home environment isn’t suitable for your business, try giving employees that opportunity to work from home once a week or a few days a month.